What is the best faerie book ever? 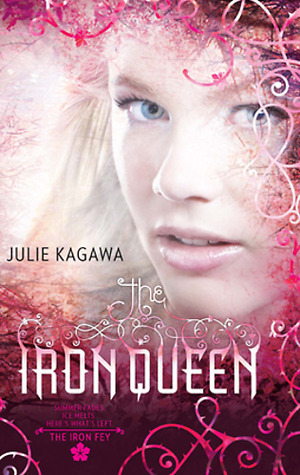 "The Best Faeries Book Ever is The Iron Fey Series by Julie Kagawa. The Iron Fey series consist of The Iron King, Winter's Passage, The Iron Daughter, The Iron Queen, Summer's Crossing and The Iron Knight. This series just continued to excel every time a new book would be published. There isn't one thing I would complain about in Julie's series. Its just so magical and so vibrant. The characters she wrote are just amazing and you become attached to them. It was a sad day when The Iron knight finally published, it meant the end of this phenomenal series. Yet it concluded the story with such perfection, I even got teary eyed. I THANK Julie for creating this world I won't soon forget." 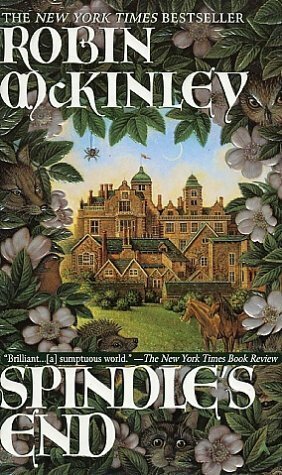 "SPINDLE'S END by Robin McKinley is one of my favorite books with fairies. It's not ABOUT fairies -- it's a retelling of Sleeping Beauty -- but fairies play a big part, of course, being responsible for Rosie's curse and rescue. Plus, it's always a pleasure reading a Robin McKinley book. " "The first thing that comes to mind when I think awesome fey books is the HOT seelie court kiss in CoA! That's hard to top! But, if I had to pick one fey series that stood out among all the fey book I've read, it would be Julie Kagawa's The Iron Fey series. Julie's writing, her world building and her characters are completing captivating. I loved everything she did with her fey world, and I wanted more of it. 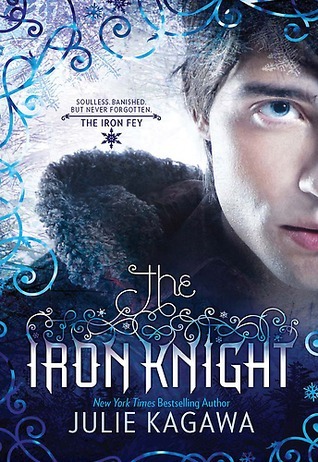 Though I loved how this series wrapped up with The Iron Knight, I'm still hoping that I'll see my favorite characters in another one of Julie's books. I'm not ready to say goodbye to this series just yet." 5. She leaves behind a trail of glittery fairy dust when she flies through the sky. 3. She is so pretty! From her cute green dress to her tied-up hair do, Tinker Bell is stunning. 2. She is an excellent Tinker. Most princess characters are not shown being very mechanically inclined. But Tinker Bell can fix things, and invent her own contraptions! 1. Her personality is real. Most of the time she is pleasant and friendly. Sometimes she is impatient and rude. Tinker Bell shows us that there are times when we lose our cool, but that learning from our mistakes makes us wiser, better people. Way to go Tink! One of my favorite lines from Peter Pan is, "When the first baby laughed for the first time, his laugh broke into a million pieces, and they all went skipping about. That was the beginning of fairies." You just have to love Peter Pan and his fairie sidekick!" -Amanda @ Hippies, Beauty, and Books, Oh My! "Okay, since Amanda was super awesome this week and did Fey I am oh so excited to ramble! Fey is totally 100% my favorite to read, it totally beats werewolves and vampires..now moving on, like the majority of you my favorite fey series (fey series? Heck this is my favorite series of ALL TIME!) is the ever so amazing and beautiful and perfect series by Julie Kagawa...yes you know what I'm gonna say, The Iron Fey series! Julie Kagawa is a literary genius, everything about this series completely draws you in, from the action scenes and to the romance scene it is a series you cannot forget and cannot miss. I have read a few other Fey series, and they all were much more laid back books, nothing compared to the epic-ness of the Iron fey. This book has everything I love in a series, I would recommend it to anyone! (:"
"I've read a lot of fey books and practically loved them all, but the one series that I think I truly enjoyed the most was Melissa Marr's Wicked Lovely series. Don't get me wrong, I've read some just as good, but it's very rare that I love every single book in the series, and every moment of each one. I remember reading the first book and immediately falling in love with the world Marr created and her characters. I think what I like the most is the fact that her story is a little on the raw side and even though it's a clean series, there are some intense moments and even some realistic moments. Minus the whole fey part of course. It's a really great series and I am a little bummed out that it's over. 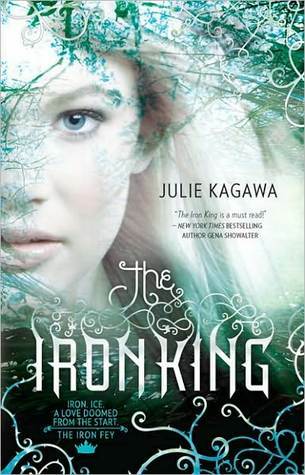 My second favorite Fey series would be Julie Kagawa's The Iron Fey series. That is another AWESOME action packed series. Third would be Carrie Jones Need series. And in adult romance, my favorite would be Inara Scott's Radiant Desire. I love that book! 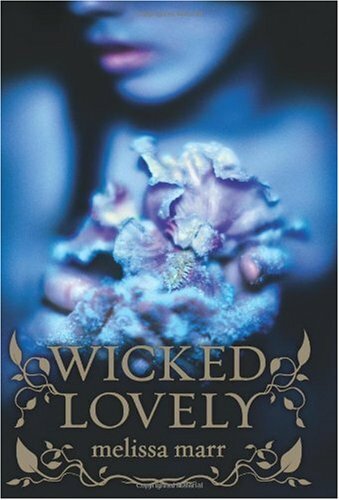 So if you are looking for a really good Fey series or book to read, Melissa Marr's Wicked Lovely series would be my first recommendation and then you know the rest. :-P "
"I have to admit, I had never been very interested in fey books until this year, when I picked up an amazing series by Julie Kagawa. The Iron Fey series is just an exceptional story about love and friendship, and it's so exciting and heart wrenching! If you haven't read this series you really need to get on it. I fell in love with the characters after just the first book, and I remember reading them instead of doing homework in the student union. The plot is so exciting and the romance is so heartbreaking, I can't really compare any other fey books to it. They're all so fun and so exciting, and even after reading The Iron Knight I just want more!! It makes me sad that there isn't going to be more Meghan and Ash, unless they appear in Julie's new book!!!! The whole series made me laugh, cry, and just plain jump for joy! How can you not love something that creates that many emotions?! The Iron Fey series is by far the best fairy book(s) I have ever read!!" "This week’s topic has proven to be a challenge for me in deed. As I thought about the fairy books I have read, I realized I didn’t like most of them! (Kind of hard to push a book that almost made your eyes bleed.) 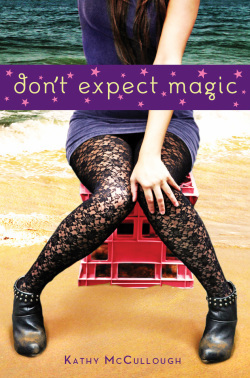 But then I remembered this little beauty… Kathy McCullough’s Don’t Expect Magic. At first, I didn't really like this book. I found myself half way through the book and not feeling any "magic" so to speak of. But then, WHAM! It all made sense. I had built up this image of some hilarious fairy godmother misadventure in my mind, only to realize this wasn't what the book was about. Yes, there is a f.g. element to the book. And yes, Delaney's shenanigans qualify as misadventures, but there is much more to the story. On a deeper level, this is a very nice story of dysfunctional families and coming to terms with change. The main characters are likable, and only a few are “magical.” Delaney has major sarcasm issues (and I love it). She was so sarcastic at times that it was hard for me not to laugh out loud. I could totally hear myself speaking her words. Flynn is dreamy in an average Joe, 100% realistic heart throb kind of way. He’s not an Adonis, but he has a great sense of humor, which makes me swoon any day of the week. The two seem like complete opposites (did I mention that Delaney is a goth girl? ), but the subtle move from I'll-stab-your-eyes-out-if-you-try-to-talk-to-me to I-can-tolerate-you-if-I-have-to to actually becoming friends (or maybe more) was a slow, believable process. I loved the ups and downs that lead them to a "happily ever after" kind of ending. This is not a happy go lucky, all out fairy wand and glittery dust kind of story. It’s a story about acceptance and surprise love, with a hint of fairy godmother magic and mayhem. Don’t Expect Magic was my saving grace from a series of horrendous fairy books!" So what do you think? Do you agree with majority for the Iron Fey Series? Do you have a favorite that wasn't mentioned! We would love to hear your thoughts! Please comment below and continue the conversation! Want to be like one of these lovely ladies and be part of our Best Book Ever panel? It's easy! Simply email Coranne at oneminutebooks at gmail dot com and let me know you want to be part of it! Thank you to our lovely guests this week! Go check out their sites and show them love! I definitely agree with the majority regarding The Iron Fey series. I've only read The Iron King, but I totally loved it. 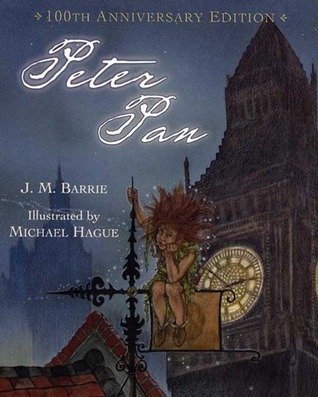 I also think that Peter Pan was a wonderful mention. I have Wicked Lovely and Need and still 'need' to read them at some point. This looks really fun and I'm going to send an e-mail. If you'd like another person, I'd love to take part. Why didn't I think of Peter Pan?! I love that book. I had a gorgeous "read aloud edition" that has stunning illustrations to accompany the original story. We would love to have you Kathy! I need to read this book- it sounds awesome! I agree with your list! 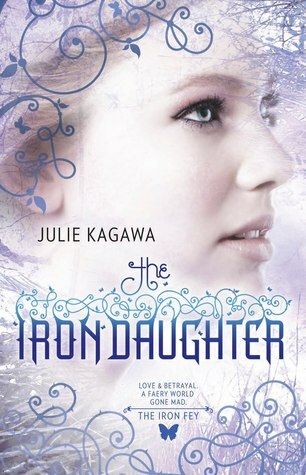 I love the iron Fey series by Julie Kagawa!